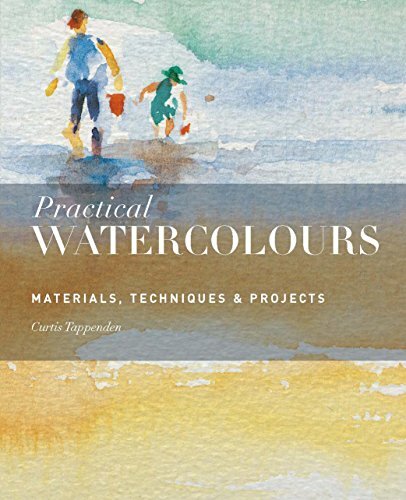 Practical Watercolours is a palm-sized handbook on tips and techniques for watercolours written by Curtis Tappenden. This book is for beginners, the casual watercolour artist or sketcher. It's filled with ideas and tips on watercolour usage. The writeup is interesting and there are fun projects to explore. The accompanying watercolour sketches and examples are lively and nice. The downside is while watercolour techniques are discussed, there are no demonstrations showing how they are achieved. Beginners may feel a bit lost when trying to replicate certain techniques. So it's best if you already know some basic wash techniques to enjoy this book. This book is really more for ideas and inspiration.